By combining traditional and digital assets on one balance sheet, we have come up with a powerful product, says Stasis CEO Gregory Klumov. When it comes to disruption, Europe traditionally lags behind the US. With blockchain and crypto, is Europe bucking this trend? Similar to European countries, different US States compete between each other to capture more crypto-related businesses. 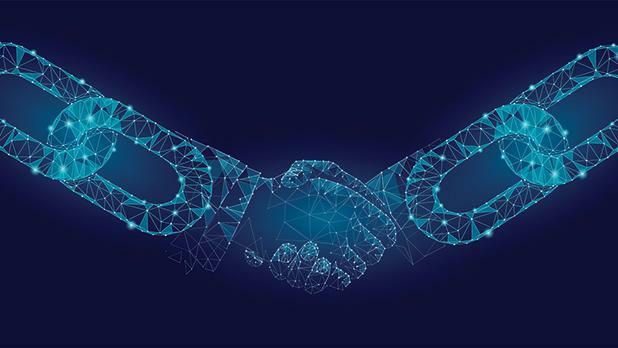 European countries endorse different digital assets policies, with Malta being at the forefront of the experiment of introducing Distributed Ledger Technology regulation. My team was one of the parties officially involved in providing feedback to the government of Malta and we are expanding this expertise to other European jurisdictions as we speak. What disruptions will blockchain fuel in the financial sector? One of the obvious benefits that blockchain offers is instant settlement of value transactions. This will disrupt a number of business processes in the financial sector as we currently know it. Cross-border transactions and derivatives settlement will feel the effect soon. There are thousands of possible applications of these features for finance. What is Stasis doing within this sector? Stasis combines traditional and digital assets on one balance sheet, and this is a pretty powerful product. We are already capable of tokenizing anything that is electronically tradable globally - any fiat currency or ISIN-listed security. One of our goals is to give institutional investors a gateway into the crypto market tailored to their particular needs. Stasis’s pilot product, EURS, is a digital version of the EU currency – the euro. Everybody can access it by downloading our wallet from the App Store and Google Play Market. If you don’t have any crypto to exchange for EURS within the wallet, please email your Stasis wallet ID to w@stasis.net and we will make sure you have some. You recently launched EURS. What is this stablecoin’s unique offering? It is backed one to one with fiat euros and has the most transparent balance sheet, not just among crypto companies but traditional companies as well. We publish all our balances daily and will have weekly verification by a top five auditing firm soon. There are other stablecoins, but this transparency and full collateralization are what make EURS unique. Is EURS still projected to be the world’s top verified and fully collateralised stablecoin by the end of 2018? My team is adding new counterparties and partners to the Stasis ecosystem every week, but I am glad there has been so much competition lately. It confirms the niche is there. Malta was one of the first countries to adopt blockchain-friendly legislation. What advantages will this translate into? The local economy has already been impacted. My partners first landed on Malta back in 2011 to establish a financial company here, and it is amazing how significant economic growth has been for the last year, with real estate prices rising and traffic on the streets. More intellectual and financial capital will move to the island to experiment with this exciting new technology called blockchain. Can Malta act as a case example for regulatory arbitrage? Regulatory arbitrage in crypto will be next year‘s hottest topic. It is already apparent that a very specific set of skills and experiences are required to approach the regulation of digital assets for a business environment. I am lucky to have managed an Irish UCITS 5 hedge fund, which is the single most regulated collective investment scheme in the world, so I had a chance to learn how one should not regulate a financial product. I know that lawmakers in France and several other countries are now examining the Maltese DLT laws with the aim of adopting and adjusting them to their national markets. What skills are vital for understanding the digital asset landscape and the relative regulation? Mathematical and technological backgrounds are a must, otherwise it is very hard to natively trust the underlying processes that make this distributed ledger so immutable and reliable. I find it fascinating that people with just tech skills do not understand the prospective value of crypto assets, while colleagues who just have finance experience do not trust the technology itself. So it is vitally important to have some skills from both worlds. And then, the experience of running any regulated financial business within the EU is the icing on the cake. 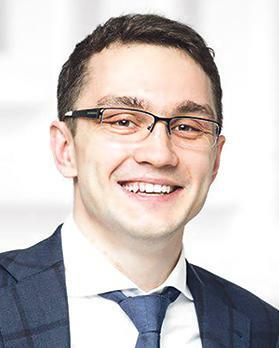 Gregory Klumov has been an advisor to Maltese and Kazakh government task forces and his expertise was vital to the successful implementation of their recent blockchain-friendly legislative initiatives. He has delivered speeches at the World Economic Forum, Money2020 Singapore, Blockchain & Bitcoin Conference in Riga, Malta and Moscow. He also gave lectures at a number of universities such as IMD in Lausanne, Frankfurt School of Finance and Management, Moscow School of Management Skolkovo and Financial University under the Government of the Russian Federation. His comments and interviews appear on Forbes, Bloomberg, Bitcoin magazine and other media outlets on a regular basis.